Mineral collectors are fanatics. We just can't get enough of this stuff! If we're not buying minerals, we're digging for minerals, or trading minerals. We dream about minerals. And when we have to, well, take a break to answer the call of nature, we want to think about minerals. So sit down a spell. Relax. 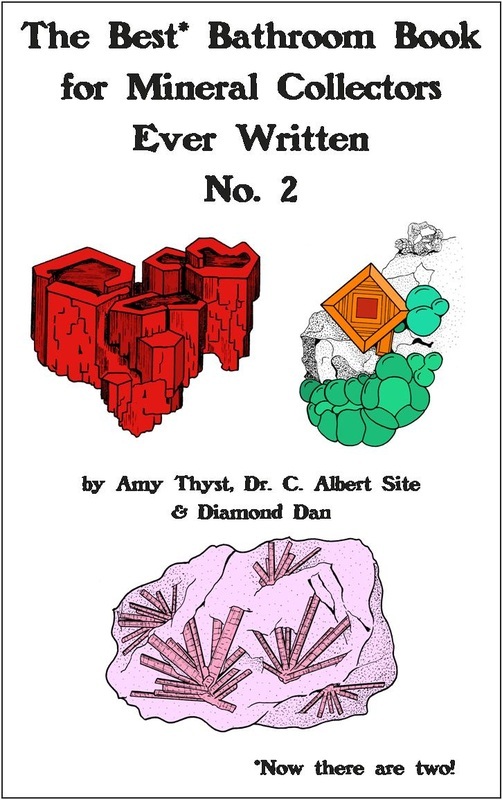 Bring your t.p., box of pencils, and crayons and have a bunch of mineralogical fun. 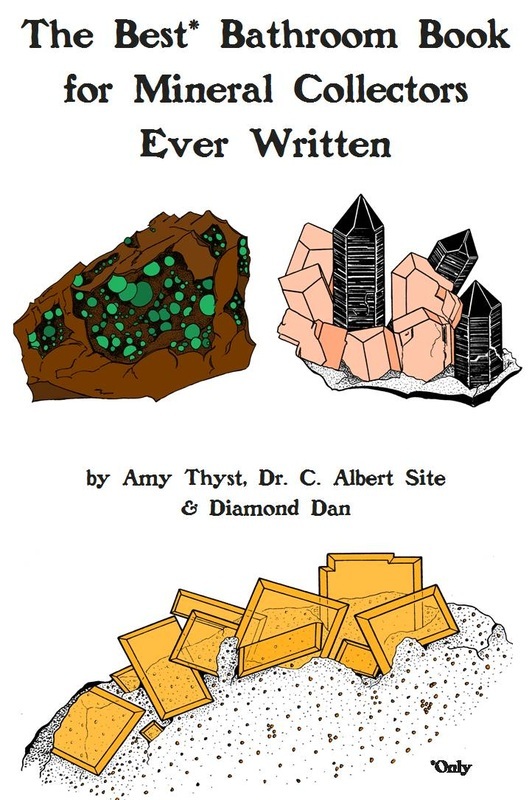 Now we have two completely different volumes of our popular "Bathroom Book for Mineral Collectors."